I’m aiming to run 10km in every country in the world – a total of 206 countries – by the 2020 Olympics in Tokyo. I’m hoping to raise as much money as possible for cancer research in memory of my mother who died of lung cancer. 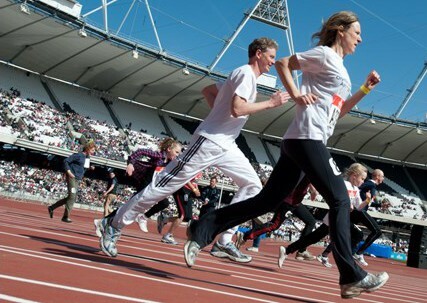 The picture above (she’s on the left) is of her last ever run – in the Olympic Stadium. But I like to think she’s with me through it all as I Run the World.